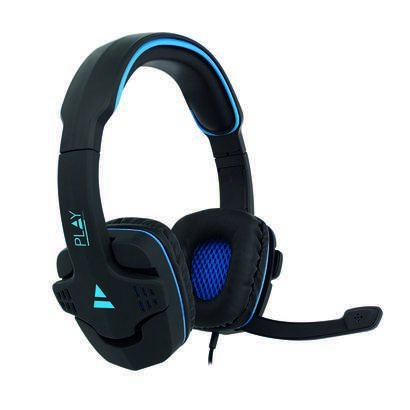 The PL3320 comfortable over-ear headset has a powerful bass. 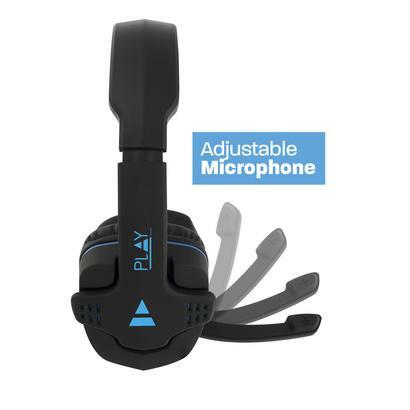 The volume control and microphone mute switch lets you control your audio on the fly. 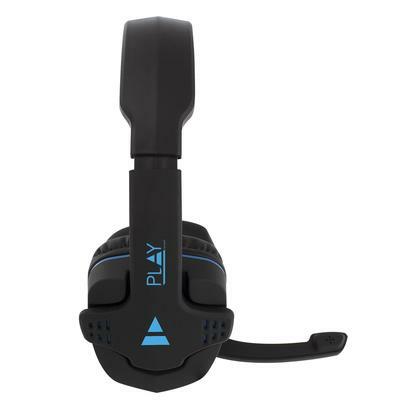 Suitable for gaming on your pc, Xbox One and PlayStation 4. No tangles anymore with the tangle-free nylon braided cable. Control the audio easily by yourself with the in-line volume control and microphone mute switch. Mute yourself easily if you don't want your fellow gamers to hear what you are saying, but just want to listen to what they are talking about. 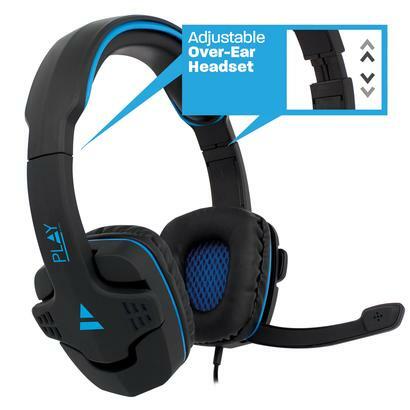 The over-ear headset has an adjustable microphone and comfortable ear pads. 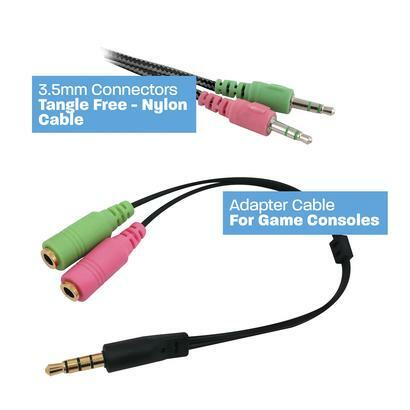 Use the included 3.5mm jack adapter cable to connect the headset to your Xbox One and PlayStation 4. Enjoy playing your games freely and don't get distracted by a tangled cable with the nylon braided cable. - Sound control: Volume control with mute switch for Microphone.